Everyone here at Unbound, in Kansas City and around the world, wants to wish a very merry Christmas and happy holidays to our sponsors, donors and everyone who has supported us over the past 35 years. 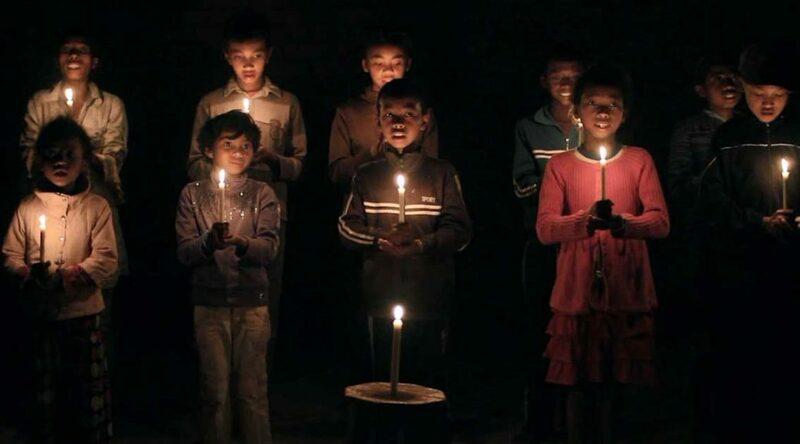 Please enjoy this video of sponsored children from Madagascar singing “Silent Night” in Malagasy. 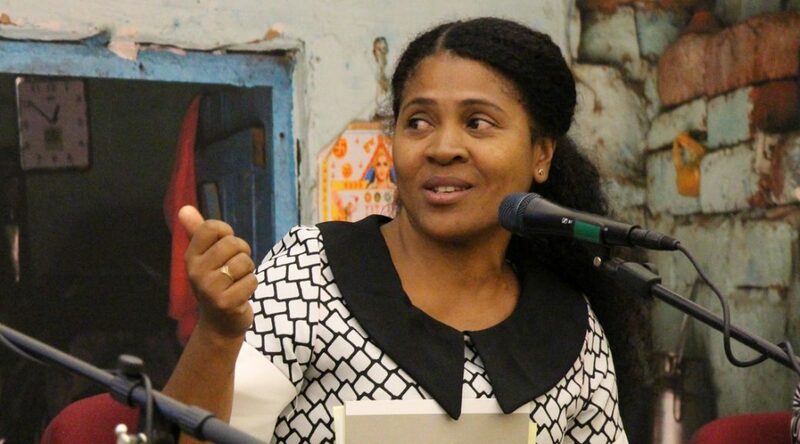 In 2014 several groups of musicians from our Antsirabe program in Madagascar were invited to record their music for the first Voices of Unbound CD. 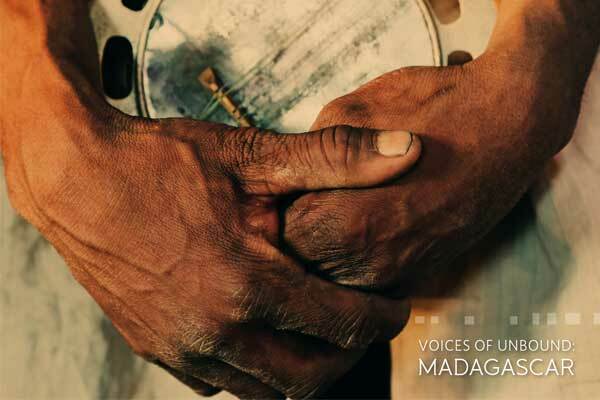 The Voices of Unbound: Madagascar CD was created to celebrate the talent and culture of our Unbound community while increasing awareness of the Unbound program. 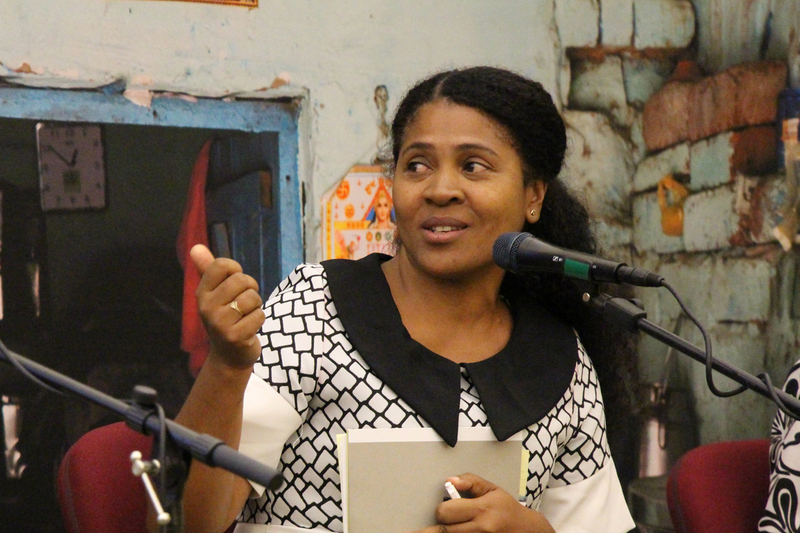 Below, Rovah, a staff member from our Antsirabe office, and Lydia, a mothers group member and musician, share their stories of participating in the music project. 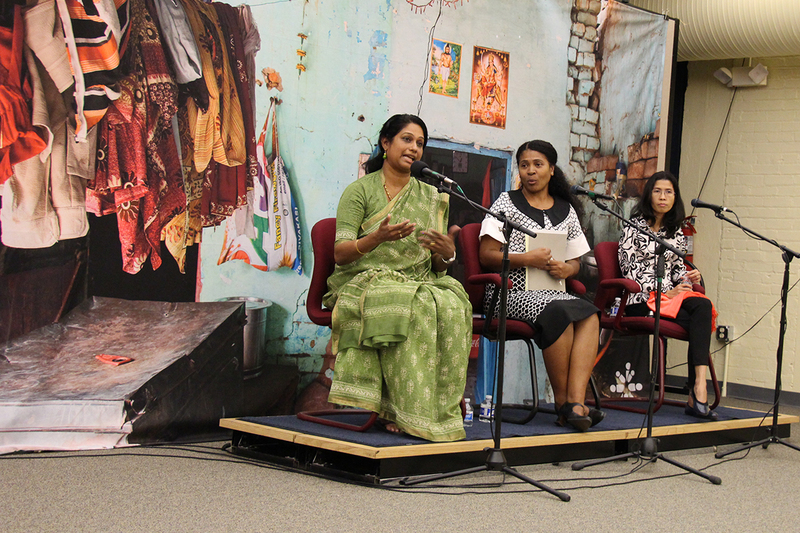 You can listen to the recordings online at unbound.org/music. 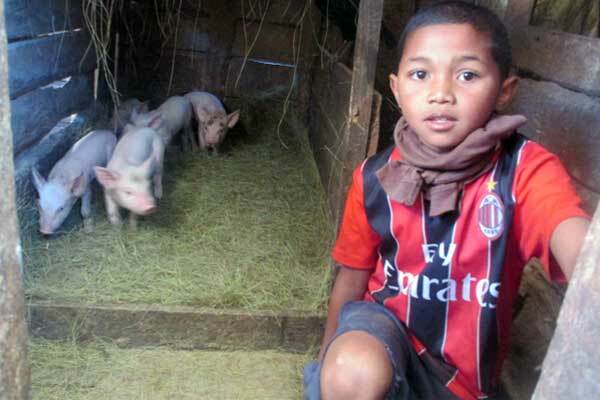 Sarobidy helps take care of his family’s farm animals. 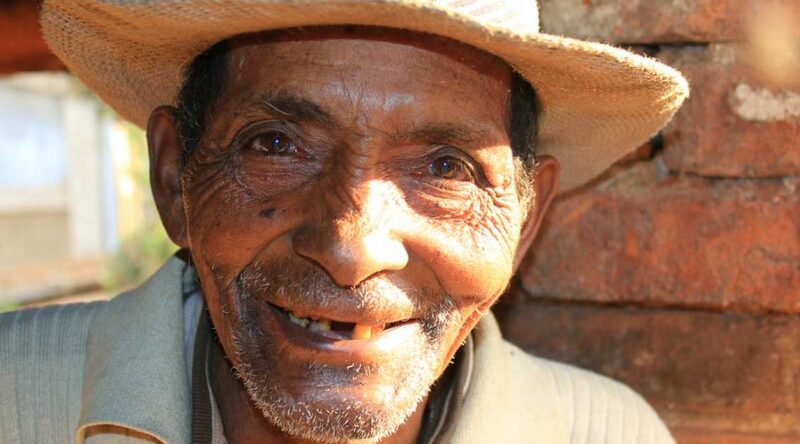 Just four years ago Sarobidy’s family was struggling to survive, living in a small wooden house in Madagascar on the little income his mother, Hasiniaina, made doing laundry and selling vegetables and firewood. His father, Léon, wasn’t able to find work. Sarobidy attended an inexpensive local school, though the quality of the education wasn’t very good. 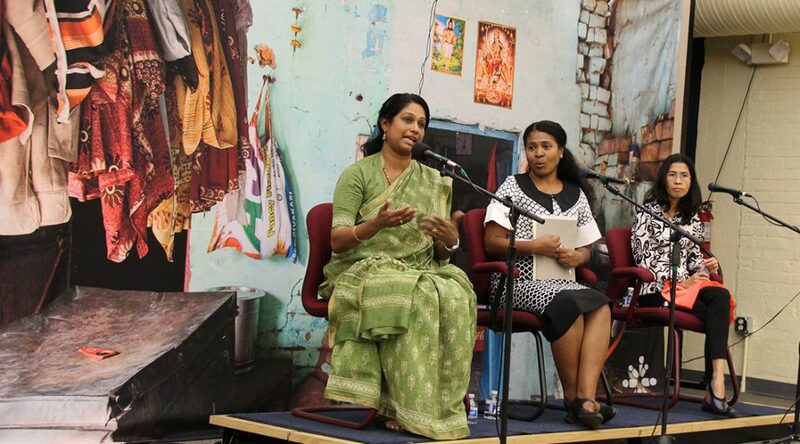 Though the tuition only cost about $2.50 USD per month, the expense took a toll on the family’s budget. Then in March of 2012, Sarobidy was sponsored through Unbound by Paul and Maureen from Ohio, and his family was able to start turning their situation around. 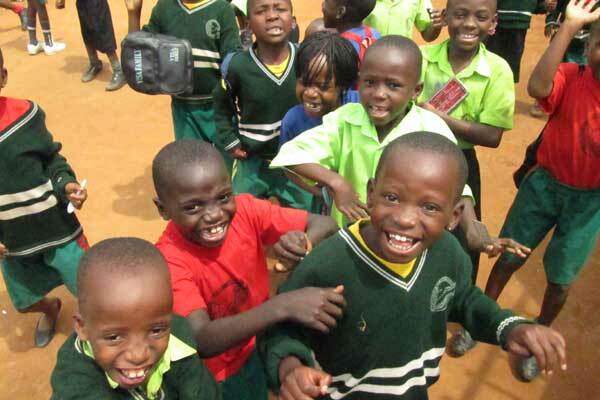 Sponsored children and their classmates in Uganda. On June 16, 1976, more than 100 students in Soweto, South Africa, were shot and killed and thousands were injured after a protest for equal and quality education for all children. Tomorrow, June 16, is the Day of the African Child. This day has been celebrated every year since 1991 in memory of those who participated in the Soweto protest and to raise awareness for the continued improvement of Africa’s educational systems. 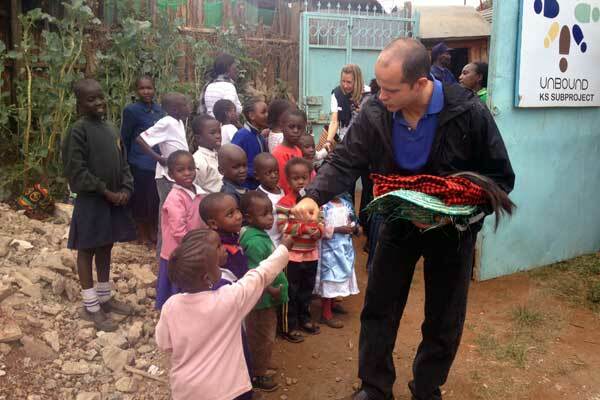 Dan gives a fist bump to a young girl outside the Unbound office near Kibera slum in Kenya. What’s the best gift for a continent? May 25 is Africa Day, the annual commemoration of the founding of the Organization of African Unity. But don’t worry if you haven’t gotten Africa a gift yet. The day hasn’t really caught on in the U.S. like other celebrations of international origin such as St. Patrick’s Day or Cinco de Mayo, but that may change. The mental maps of many Americans are pretty blank when it comes to Africa, and the topics we associate with the continent are mostly negative: slavery, poverty, starvation, dictators and war. It’s true that Africa’s history is deeply marked by suffering, mostly at the hands of outsiders but also self-inflicted. Modern Africa is changing rapidly, and it is time we all took note. 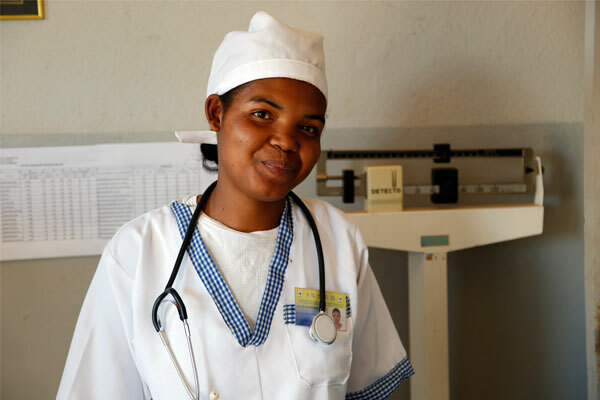 Yollande is completing her training as a nurse at a local health center in Madagascar.